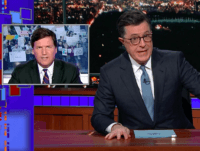 Late Show host Stephen Colbert railed against Fox News host Tucker Carlson on Wednesday, describing him as a “little racist” as left-wing activists pressurize advertisers to boycott his show. 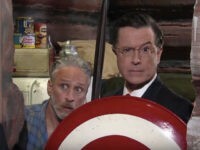 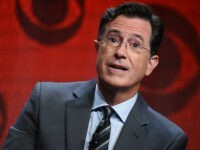 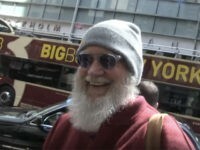 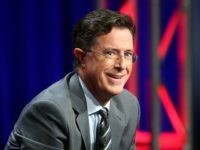 Jodie Foster reprised her Oscar-winning role as FBI agent Clarice Starling from the 1991 horror film The Silence of the Lambs for a skit on Stephen Colbert’s Late Show Friday night, in which she attempts to get information on possible collusion between President Donald Trump and Russia from an imprisoned Hannibal Lecter, played by Colbert. 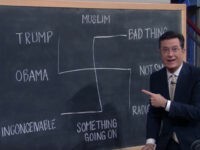 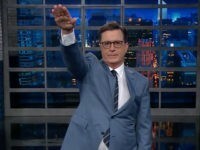 Late Show host Stephen Colbert delivered a Nazi salute during his Thursday night monologue on the CBS show, while discussing President Donald Trump’s response to the political violence in Charlottesville, Virginia, in August. 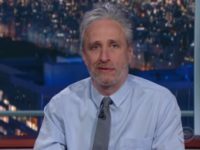 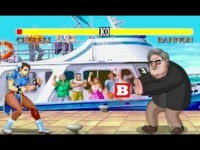 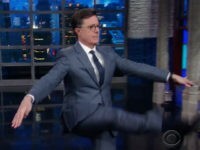 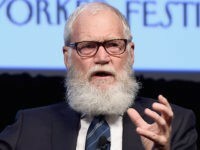 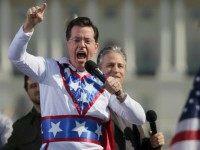 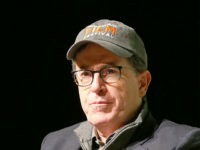 Late Show host Stephen Colbert mocked Steve Bannon and likened him to a Nazi “street fighter” during his monologue Thursday night, ahead of the former White House chief strategist and Breitbart News executive chairman’s anticipated interview on 60 Minutes Sunday. 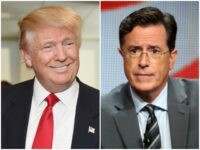 Late Show host Stephen Colbert ripped President Donald Trump for his response to Hurricane Harvey during his Tuesday night monologue — but incorrectly claimed that the president had not met with a “single” victim of the devastating storm during his two visits to flood-ravaged Texas this month. 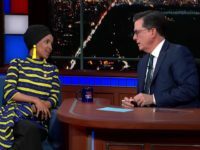 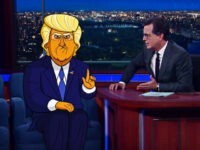 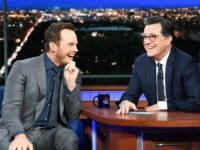 President Donald Trump fired back at Stephen Colbert in an interview this week following the Late Show host’s profanity-filled attacks on him during a segment on his show this month. 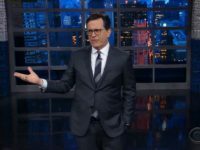 Stephen Colbert believes Republicans in the House “kicked America in the balls” with their passage of the American Health Care Act on Thursday. 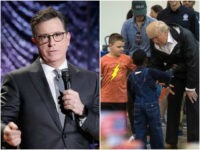 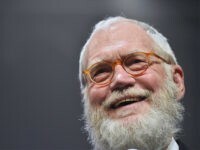 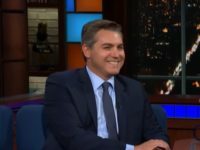 Tuesday on CBS’ “The Late Show,” MSNBC’s “Morning Joe” co-host Joe Scarborough said President Donald Trump’s first month in office has made it harder to call him “Mr. 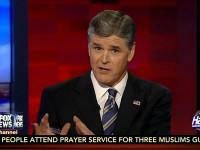 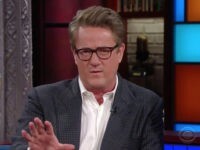 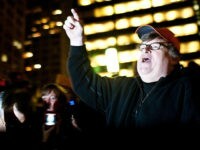 President.” Scarborough said, “He’s been Donald Trump forever, he’s been Donald forever.